Journal of Immunology Research and Therapy(ISSN: 2472-727X) is an international peer-reviewed journal that covers the studies of all aspects of the immune system in all organisms. 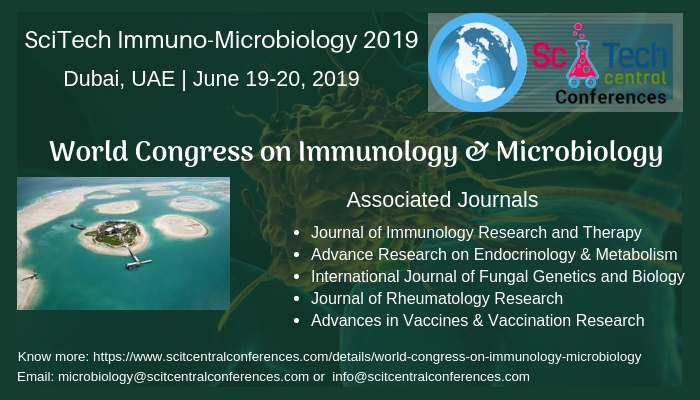 The journal provides a platform for scientists and academicians all over the world to promote, share, and discuss various new issues and developments in different areas of immunology and therapy. Journal of Immunology Research and Therapy(ISSN: 2472-727X) reflects the latest advances being made worldwide in a broad scope of immunology. It covers all areas of subjects such as Cancer Immunology Classical Immunology, Clinical Immunology, Computational Immunology, Diagnostic Immunology, Evolutionary Immunology, Human Immunology, Immune Pathology, Immunogenetics, Immunopharmacology, Immunotherapy, Molecular Immunology, Systems Immunology, Vaccinology, Autoimmune disease, Hypersensitivity, Immune disorder, Immunodeficiency and Immunotherapy. Journal of Immunology Research and Therapy(ISSN: 2472-727X) accept Research Articles, Review Articles, Mini-review, Case Reports, Opinion, Letters to the Editor and Editorials, Rapid and Short Communications, Commentary. The journal operates a blind review policy. Manuscripts are reviewed by editorial board members or other qualified persons. The articles published are made freely and permanently accessible online immediately upon publication thus improving the citations for authors and attaining a good impact factor. Journal of Immunology Research and Therapy(ISSN: 2472-727X) welcomes submissions of manuscripts via Online Submission System or via email to the Editorial Office at editor-immuno@scitcentral.com or submissions@scitcentral.com.